There are no shortage of solutions proposed for addressing the global water crisis. No matter the solution, success has four key ingredients: quality, quantity, accessibility, and reliability. 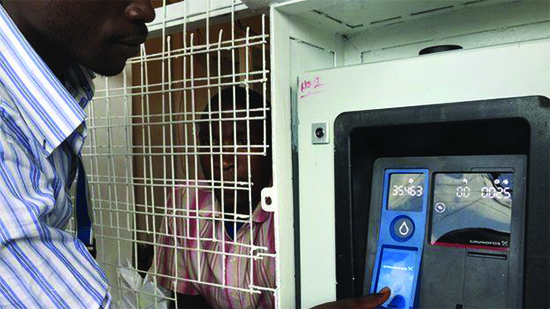 Recently a partnership between a Dutch engineering firm, Grundfos, and the Kenyan government, is bringing safe water to Nairobi slums through a vending machine style kiosk. Users pay using a smart card, pre-paid at a kiosk, or through a mobile phone. This solution helps answer one of biggest challenges of sustainability: providing services that are affordable enough for end users but with enough profit margin to sustain providers over the long term. The other factor that sets this solution apart is that it is set in an urban context. In the developing world, Africa has experienced the highest urban growth during the last two decades at 3.5 percent per year. Unfortunately, this growth includes rising inequality, resulting in slums and unplanned urban development. In fact, African cities have the second highest rate of inequality in the world (African Development Bank Group, accessed June 29, 2015). These urban settings are a melting pot, and the complex political, economic, social, and cultural landscape provide a challenging context for effective solutions. This is exactly where innovation and collaboration are needed most. In fact, as the Millennium Development Goals (MDG) come to a close in 2015, and the international development community looks out ahead over next 30 years to draft the post-2015 Sustainability Development Goals (SDG), there is a strong push for understanding the different needs between rural and urban communities and making sure that we are intentional about serving both demographics. It’s great to see organizations, companies, and local governments already out in front, and we hope to see more of that in the years to come.